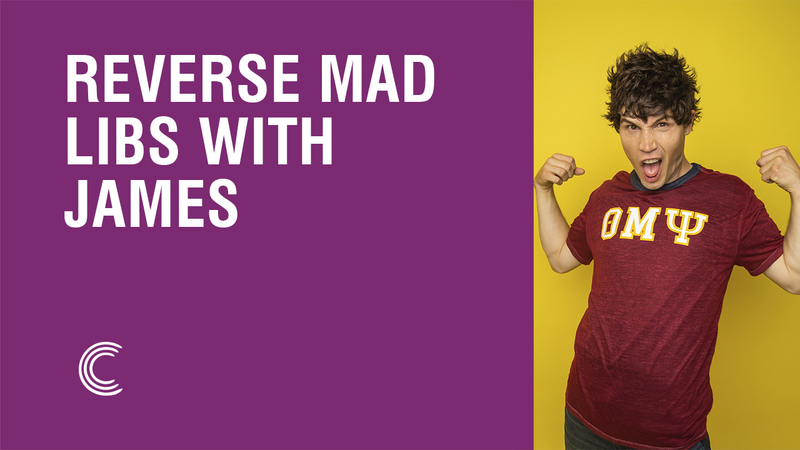 Reverse Mad Libs With James! 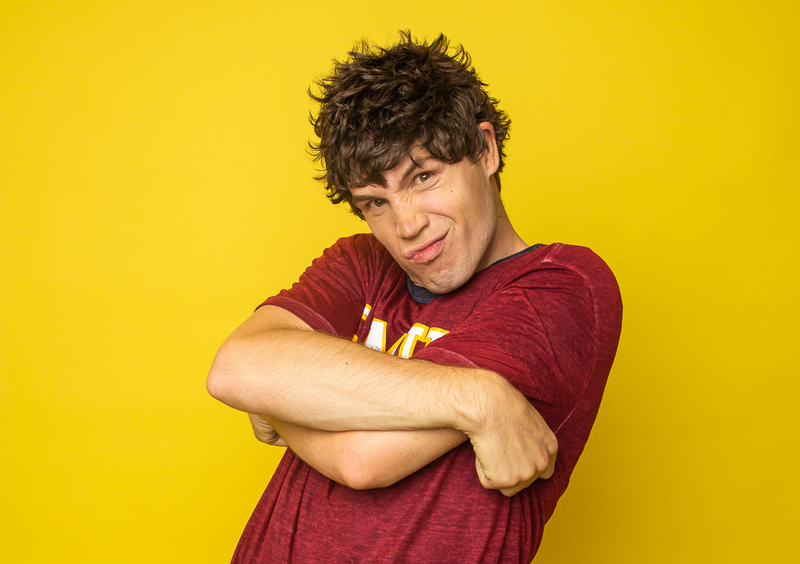 Are you ready to see the story James came up with using our nine words? This poem is about to blow your mind! 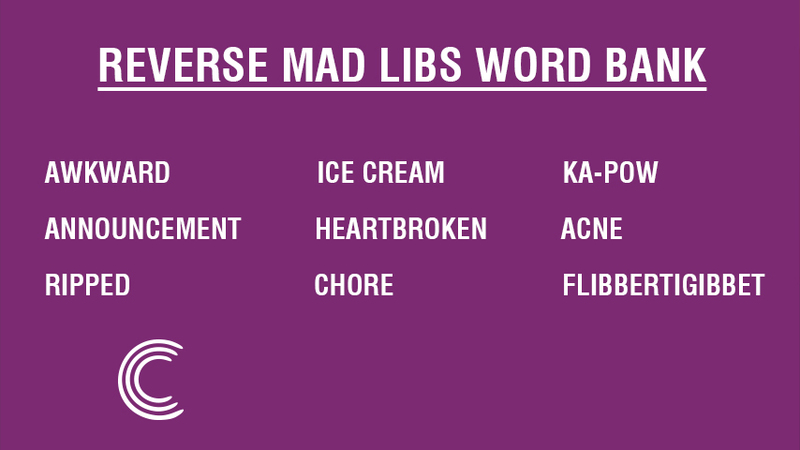 Can you spot all nine words? Tattered and ripped from the gollum and gore. Ka-pow! Fwip-fwap! With his awkward glove. Dusty they entered the ice cream shop. “I can’t live with your acne” she scoffed. Can't wait another week for a new story? Be sure to check out Adam, Whitney, Stacey, Stephen, and Natalie's story! Have a great week! 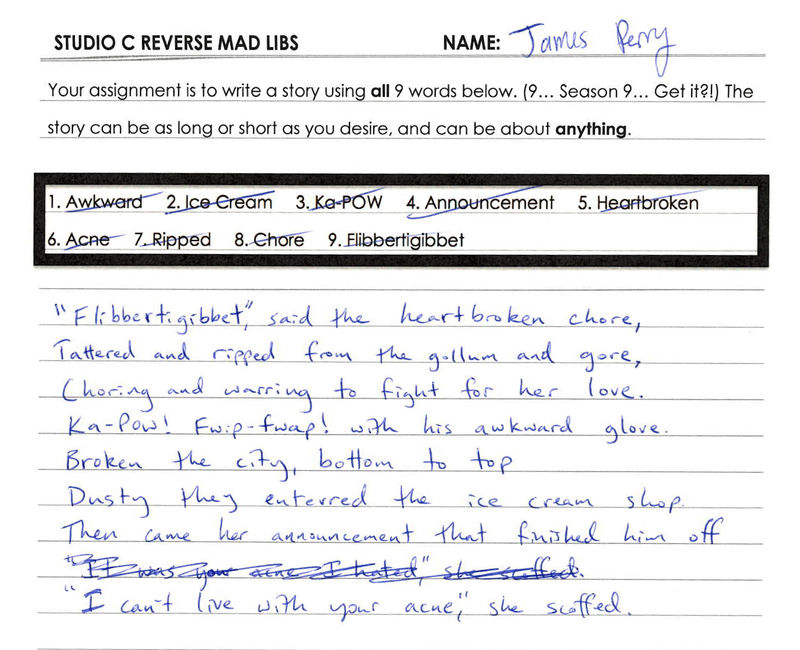 We'll see you next Monday for an all-new Studio C reverse mad libs story.